Did you spend a good portion of your childhood sitting in front of the NES, trying to devise the best strategy to take down all of the robot bosses in Mega Man? Some people say to go for Bomb Man first, but take our advice and take down Guts Man first. His moves are fairly easy to dodge and it gives you early access to Super Arm, which lets you take some shortcuts in other levels. Still following us? 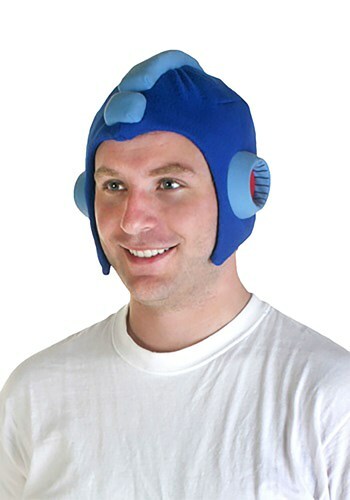 Then this Mega Man Helmet is definitely for you! Based on his helmet from the video game series, this Mega Man helmet is made of a soft, blue, polyester fleece that cozy to wear. That means you get a comfortable style that you can wear while you pretend to blast Robot Masters from your home, or while you dig out that NES so you can play another round of Mega Man.